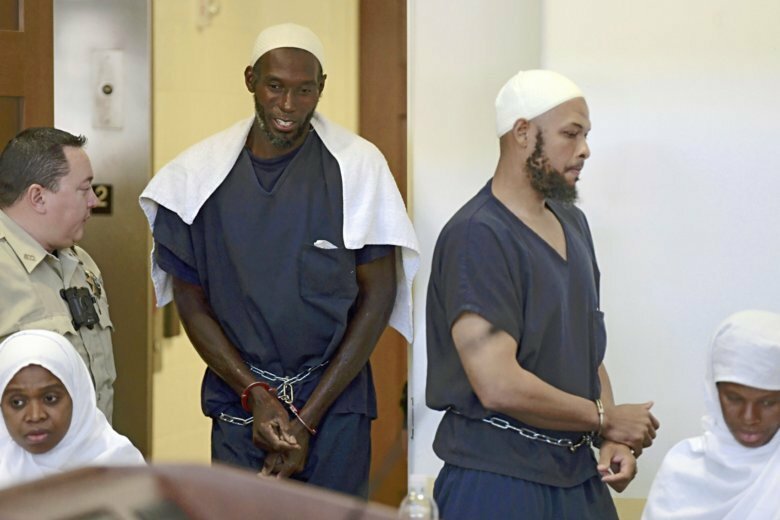 ALBUQUERQUE, N.M. (AP) — Five people arrested at a ramshackle New Mexico compound where one of the suspect’s sons was found dead pleaded not guilty Thursday to federal terrorism-related charges and other counts that their attorneys say the group would not be facing if they weren’t Muslims. The group’s makeshift settlement had consisted of a camping trailer wedged into the desert and surrounded by stacked tires before authorities raided it and found 11 hungry children, guns and ammunition, a firing range. They also found the remains of 3-year-old Abdul-Ghani Wahhaj, who had suffered from severe medical disabilities that caused seizures. She and the boy’s father, Siraj Ibn Wahhaj, had held hours-long prayer rituals over the boy in the days leading to his death.